I believe that Einstein envisioned a dystopian, post-apocalyptic world without power. In poll after poll, one of the threats that concerns preppers is the use of a nuclear-delivered electromagnetic pulse weapon to cause a grid-down scenario. There are many bad actors on the international stage. Each one is capable of wreaking havoc in the United States by shutting down our power grid and enjoying the resulting chaos. What is an electromagnetic pulse? Let’s get technical, so bear with me for a moment. An electromagnetic pulse—EMP, is an intense burst of electromagnetic energy caused by an abrupt, rapid acceleration of charged particles, usually electrons. An EMP can contain elements of energy over a large part of the electromagnetic spectrum, from very-low-frequency radio, to ultraviolet, wavelengths. A typical example is a lightning strike that produces a localized EMP. As the lightning makes contact, it can direct a large electrical current in nearby wires. A single current surge can damage sensitive electronic circuitry, such as wires and connection contained in computers and ancillary equipment. By definition, an explosion results from the very rapid release of a large amount of energy within a limited space. This definition applies to a lightning strike, a conventional explosive like dynamite, as well as for a nuclear detonation. However, the energy produced by any one of these explosions results from different means. Understand that all explosions are relative. The effects of the shock wave are directly proportional to the amount of electromagnetic energy associated with the detonation. Its force and effect depend on the quantity of energy associated with the explosion. Which brings us to the principal differences between conventional weapons and a nuclear EMP is the powerful electrical currents created by the blast. For that reason, the effectiveness of the conventional bomb and a nuclear EMP differ because the target is vastly different. Conventional weapons seek out hard targets—a surface burst. Nuclear EMPs seek out a high-altitude location above the Earth’s surface—an air burst. What’s the difference between a nuclear delivered EMP and an electromagnetic pulse caused by a Coronal Mass Ejection? 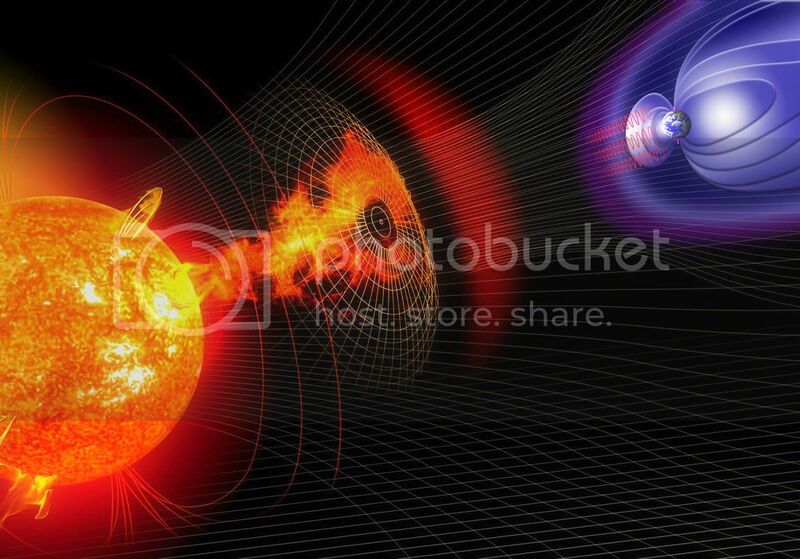 discuss solar flares and CMEs in depth. Regardless of the source of an electromagnetic pulse, the impact upon our nation could be catastrophic. Recently, the constant barrage of cyber intrusions into the public and private sector have captured the news headlines, but it is time to refocus on the threat an EMP poses for our nation’s critical infrastructure. 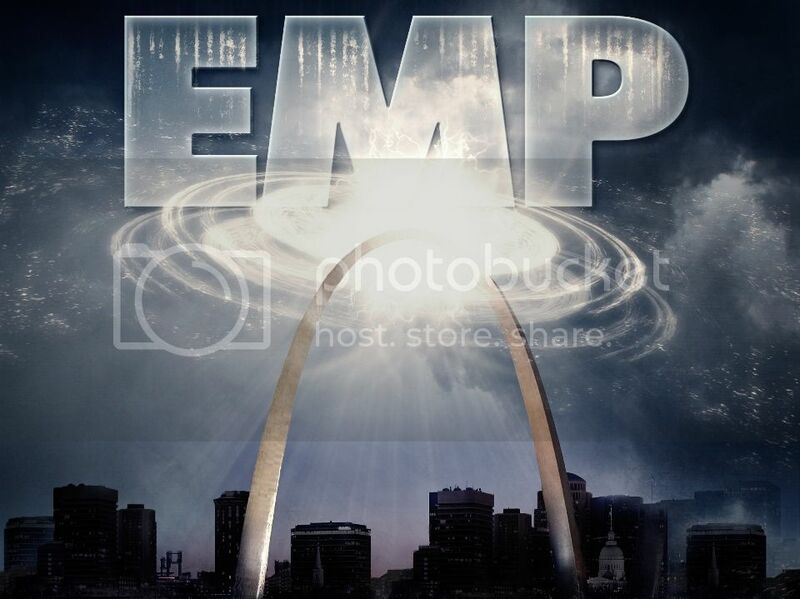 Senator Ron Johnson, of Wisconsin, Chairman of the Senate Committee on Homeland Security and Governmental Affairs, began hearings in the summer of 2015 on the threat of an EMP detonation over the United States. The witnesses included, among others; James Woolsey, former Director of Central Intelligence, Joseph McClelland, Director of the Office of Energy Infrastructure Security at FERC, and Christopher Currie, Director of Homeland Security and Justice with the Government Accountability Office. Their conclusion: The threat is real, and the need for the U.S. to prepare for this eventuality is critical. Chairman Johnson, in his opening remarks, stated that although the issue of EMP has been on the government radar for years, it has largely gone ignored. He pointed out the fact that not one of the suggestions put forward by the congressionally mandated EMP Commission, formed in 2002, has been put in place. The science behind an electromagnetic pulse might be considered complicated and frightening to some. 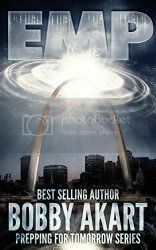 An EMP event can occur either naturally, (through solar flares, as discussed above) or artificially, as the result of a high-altitude nuclear explosion. The high-energy particles from such an explosion would cascade down to Earth, interacting with the planet’s magnetic field and destroying the electronic systems below. The resulting pulse of energy could destroy millions of transformers in America’s power grid, as the pulse travelled along transformer lines. The possibility of man-made EMP events has grown in relation to the technological sophistication of America’s adversaries. It is a widely known fact, that both Russia and China already have this capability, and both countries have carried out serious work relating to the generation of EMP in recent years, as part of their respective military modernization programs. Now, America’s enemies like Iran and North Korea may not be that far behind. Iran, for example, is known to have simulated a nuclear EMP attack several years ago, using short-range missiles launched from a freighter. In 2015, the Iranians fired a medium-range missile capable of carrying a nuclear warhead. North Korea, meanwhile, has acquired the blueprints to build an EMP warhead. In July of 2013, a North Korean freighter made it all the way to the Gulf of Mexico, through the Panama Canal, carrying two nuclear-capable missiles in the ship’s hold. satellites carrying nuclear warheads are at the ideal altitude to generate an EMP across the entire continental US. Perhaps, President Reagan was right. die from starvation, disease, or societal collapse. Are the threats to our critical infrastructure from an EMP attack and Cyber Warfare mutually exclusive? Not necessarily. North Korea’s recent nuclear test and dictator Kim Jong Un’s claim that he has a hydrogen bomb, has shifted focus away from the cyber threat and onto EMP once again. Although the focus of attention has shifted, at least temporarily, away from cyber threats, the North Korean nuclear threat is just another dimension of the threat from cyber warfare. Russia, China, Iran, and North Korea have all adopted an asymmetric warfare capability. Cyber warfare is not limited to computer viruses and hacking but is a combined-arms operation that includes the coordinated use of physical sabotage and an EMP attack. Our enemies consider a high-altitude nuclear EMP attack as the ultimate weapon. North Korea’s recent low-yield nuclear test, and its claim that it has a hydrogen bomb, are confirmation of the Congressional EMP Commission’s findings that North Korea is attempting to acquire a super-EMP weapon —a low-yield hydrogen bomb. There are solutions, and the clarion bell has been rung. Our nation’s leaders have a duty to protect the homeland. What if the preppers are right? Further, if the threat is real, and most preppers acknowledge that it is, how do you prepare? Where do you begin in formulating a Preparedness Plan? An entire preparedness guide, hundreds of pages long, may still not adequately cover the elements of a comprehensive preparedness plan. The numerous disaster preparedness guides, blogs, and professional videos are all excellent resources. But where do you start? Well, of course there is much more to developing a preparedness plan than the big three, but all preparedness experts know these are the basics. Many preppers are well organized and rely heavily upon checklists. We urge you to review the following link to a FREE PDF DOWNLOAD of an extensive preparedness checklist. Preppers constantly update their checklists to insure they didn’t overlook anything. You will as well. As you review the following, keep in mind certain basic principles when preparing your plan. The survival rule of threes: You can only live three minutes without air; three hours without shelter in extreme conditions; three days without water; and three weeks without food. This helps you prioritize your preps for a post collapse survival situation. The prepper rule of redundancy: Three is two, two is one, and one is none. When your prepper supplies run out, you can’t drive down to Wal-Mart and restock. Building your prepper supplies to an acceptable level for long term survival requires baby steps. Thus, survival planning starts with the perfect trinity of prepping—beans, band-aids and bullets. Clearly, an oversimplification of what a preparedness plan entails, but it is a pretty good reflection of what you better have covered. This is a well known expression within the prepper community as it outlines the essentials that you will need in the event of TEOTWAWKI—the end of the world as we know it. 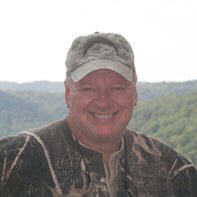 In summary, beans will include your prepper supplies, the items in your prepper pantry and water. Band-aids will refer to all things medical. Bullets represent the weapons and ammunition necessary to protect yourself, your family and your preps. EMP: A threat from above to America’s soft underbelly below. The clock is ticking. One second after. One year after. The Boston Brahmin Series and the Prepping for Tomorrow series. the American Revolution navigate the societal and economic collapse of America. Can The Loyal Nine save the republic while protecting the interests of their mysterious benefactors — The Boston Brahmin? Learn more at www.TheBostonBrahmin.com. He has also written the Prepping for Tomorrow series, which has achieved three #1 bestsellers in twenty-nine non-fiction genres on Amazon. His attention to detail and impeccable research is critically acclaimed. Visit www.BobbyAkart.com to learn more. Because you never know when the day before … is the day before.